Aero Express is an Authorized Distributor for the Ideal Aerosmith 1300 Series Manual Tilt & Turn Table. Aero Express will buy, sell and trade the 1300 Series depending on your needs. 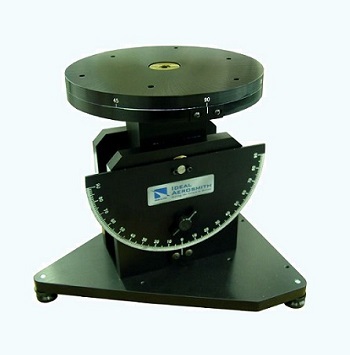 The 1300 series Manual Tilt & Turn are designed for precision calibration of gyroscopic instruments or any devices requiring a tilt input in one or two axes. The table provides a portable, stable, and precise positioning platform with lasting durability. 1-Year Factory Ideal Aerosmith Warranty on all new products.